Gwynedd Mercy pieced together eight hits but struggled to manufacture runs on Sunday afternoon in a 7-2 loss to No. 24 Salisbury at Sea Gull Baseball Stadium in Salisbury, Md. in the season opener for both programs. Junior right-hander R.J. Boyle pitched well to open the contest for the Griffins, tossing four innings while surrendering one run on two hits. He walked two and struck out one. The Griffins evened the contest in the sixth at 1-1 with an RBI-single to left from senior Jason Mulvey, scoring senior Justin Curtin who reached earlier in the frame after being hit by a pitch. The Sea Gulls answered in the bottom of the frame with three runs of their own though to put the game out of reach. Gwynedd Mercy finished the afternoon 1-for-12 with runners in scoring position. Freshman right-hander Cameron Culver surrendered three runs on two hits over 1 2/3 innings in relief while senior righty Gino Tripodi gave up two runs via one hit and a walk. Junior left-hander Brian Wildrick was the lone Griffins reliever to toss a scoreless inning. Junior outfielder Bobby Heck hit a solo shot for Gwynedd Mercy in the seventh in the losing effort. He ended the day 1-for-3 with the homer and a walk. 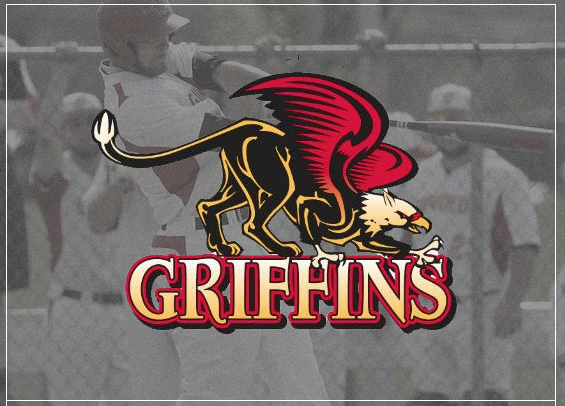 Mulvey and Sachael Sciarretta each collected a pair of hits for the Griffins. Gwynedd Mercy will be back in action next Saturday at Kean.